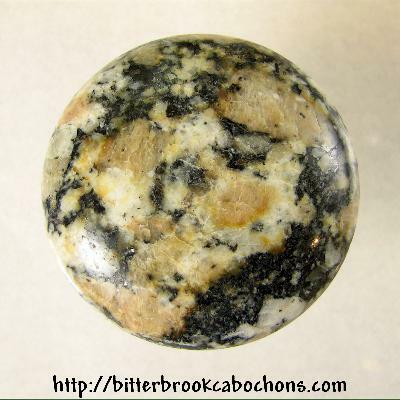 I'm going to have a good number of Rescue cabochons on the site in coming weeks. This one is unusual primarily due to its size (YOOGE). I think it's granite but I really don't know. It came to me as a core sample which was probably headed for the trash, but I cut some slices from it and cut a big fat cabochon that looks really good. Another cabochon rescued! 47mm diameter x 11mm. Weight: 191.55 carats.